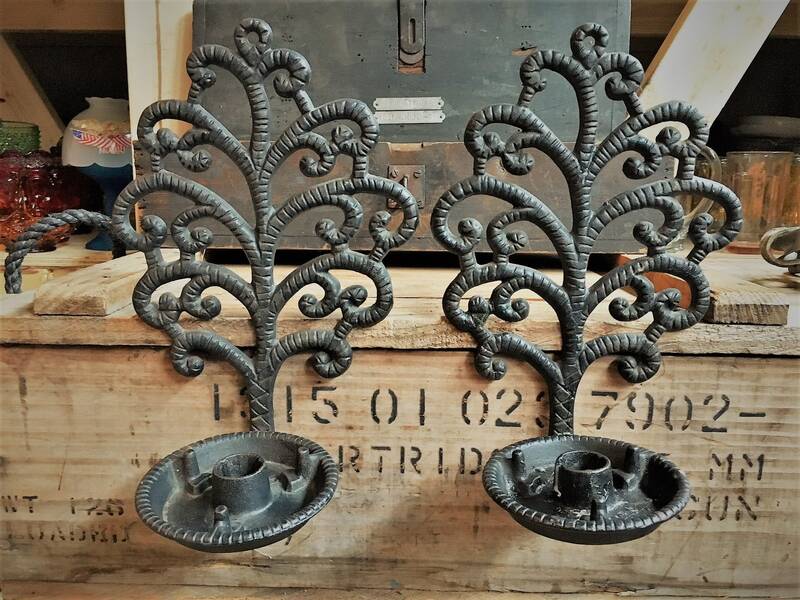 Featured is a pair of cast iron candle holders from Wilton. 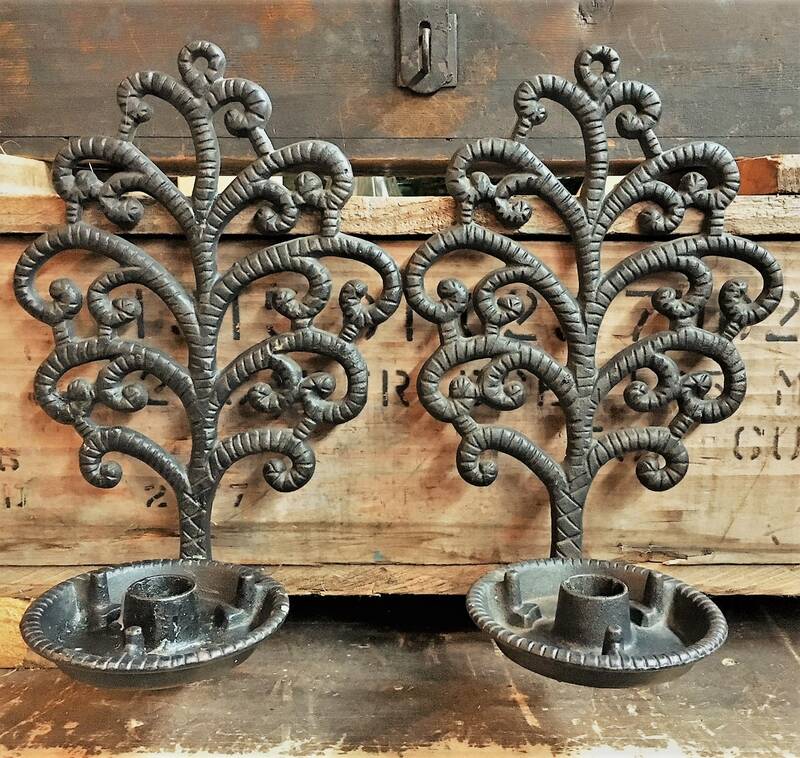 These heavy pieces are in a tree of life shape and are designed to be hung on a wall. They measure about 12 inches tall and about 7 inches wide. 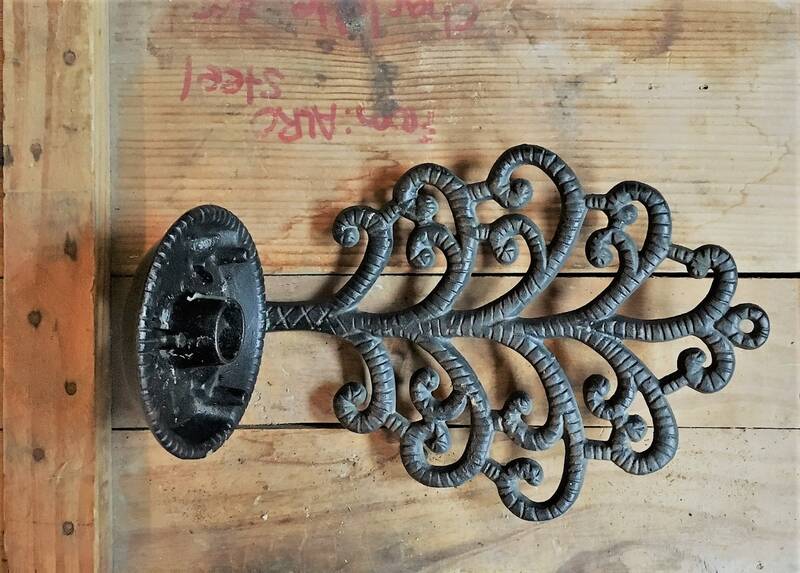 They are designed to accept a traditional taper or a candle up to about 3 inches in diameter. 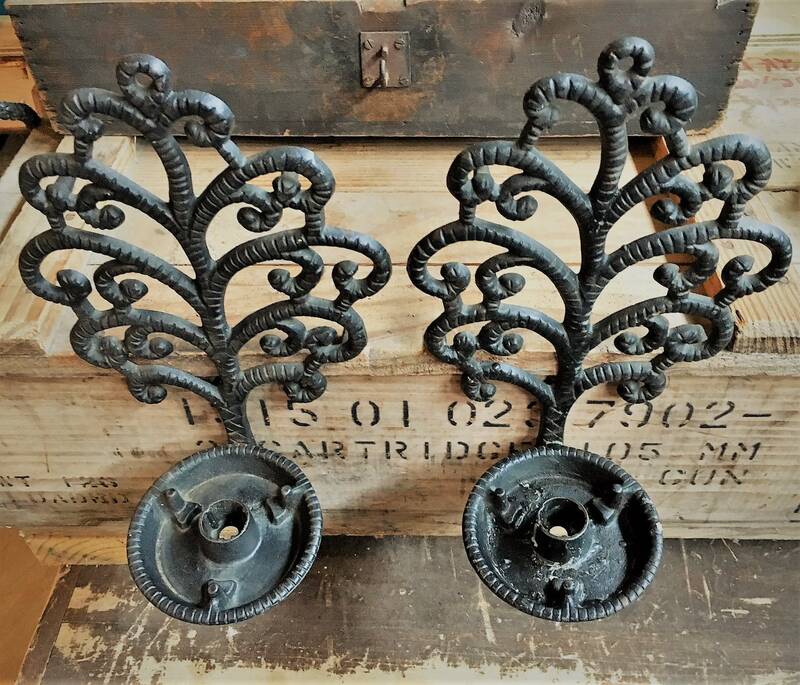 Both pieces are in nice shape. A bit of patina has gathered through the years and there is a touch of residual wax. 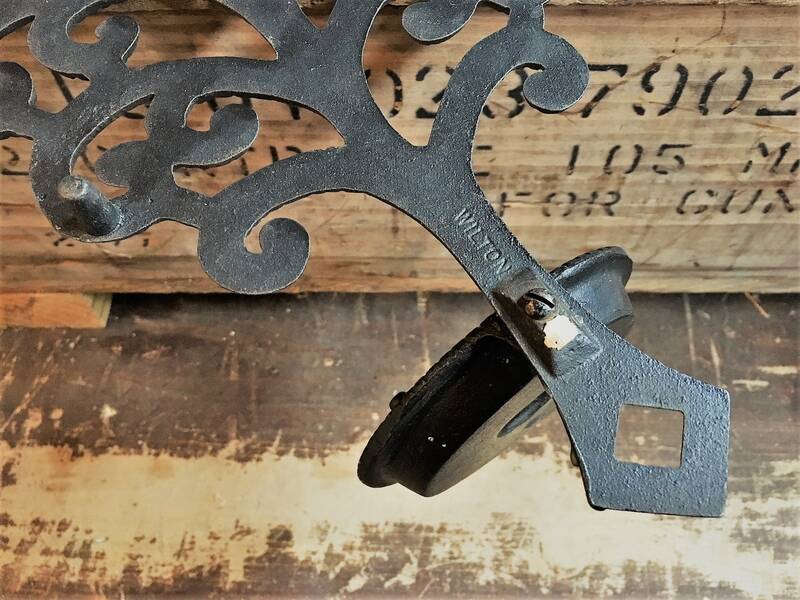 Both pieces offered for one low price.